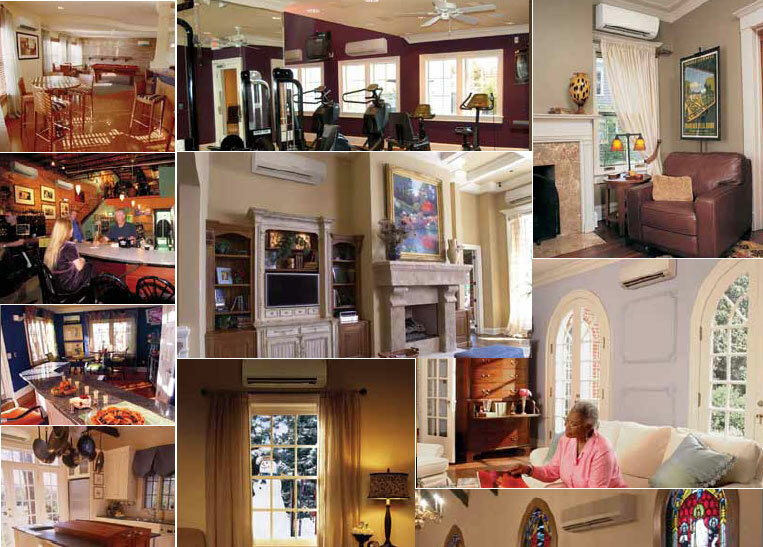 LG HVAC systems offer a range of solutions that are cost efficient, quiet and attractive. They provide a smart alternative to both central HVAC and window-mounted air conditioners, and are available in a variety of configurations to suit different cooling and heating situations. These innovative systems are "split" into indoor and outdoor units. The interior units are available in several different units. The interior units are available in several different configurations: Art Cool, standard wall-mounted, Floor Standing and ceiling cassettes. All interior units have remote controls for easy use. Installation by a qualified HVAC contractor is safe and easy - no duct work or sheet metal is needed. 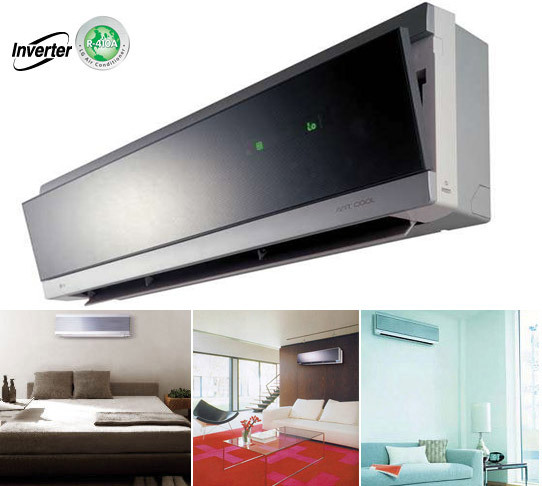 Single, dual and tri-zone systems, as well as cooling only and heat pump models, are available. 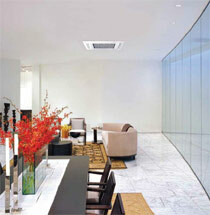 The larger, Flex Multi-Split systems operate two, three or four interior units that are mounted in separate rooms. Each indoor unit comes with its own remote control, allowing the customer to set the temperature individually in different rooms. These units are connected to a single exterior unit. The interior units are available in a variety of styles, including Art Cool, Standard, Ceiling Cassette, and Ceiling Concealed Duct models. Dual-, Tri- and Quad-Zone are available in Heat Pump systems.